American pioneers saw the endless stretches of grassland of the Great Plains as a place to produce grain and beef for a growing country. 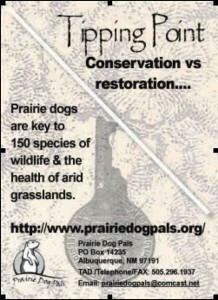 But one casualty was the native prairie ecosystem and animals that thrived only there. Gunnison’s Prairie Dogs are a White-tailed subspecies, which inhabits the four corners region. 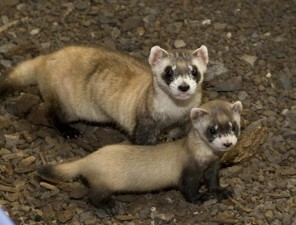 Once ubiquitous, current estimates place their populations at about 2 – 5% of their former range. Two of the five species of prairie dogs are protected under the Endangered Species Act. There may be fewer Utah Prairie Dogs than Siberian Tigers. 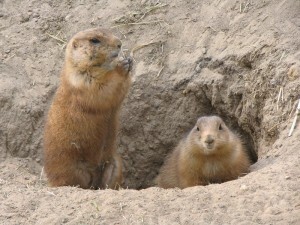 Black-tailed Prairie Dogs, the most numerous due their large range, are considered a Candidate for Threatened Listing. They meet all criteria for listing, but the Fish and Wildlife Service does not yet have the resources to enforce the listing, so they were placed on the Candidate List in 2000. They are on about 1% of their former range. Prairie dogs are a ‘keystone species,’ or most important element, of their environment. Up to 160 other species benefit from their presence. As the primary prey on rangelands. They build homes or shelter for many species. They alter vegetation and soil to promote optimum grazing conditions. 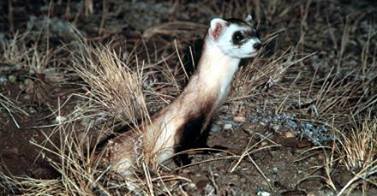 The Black-footed Ferret is the most endangered mammal on our continent and cannot live without prairie dogs under any circumstances. The Ferruginous Hawk, Swift Fox, Mountain Plover, and Burrowing Owl, are considered for or federally protected species that are considered dependent on prairie dogs. 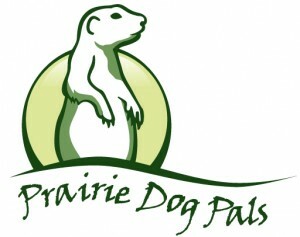 Several other species are considered dependent on prairie dogs. Several other species are considered dependent. Prairie dogs possess, perhaps, the most complex language of any animal ever studied. Even more so than primates. They have over fifty primary ‘words’ and can communicate in sentences, distinguish color, speed, and level of threat through language. Prairie dogs live in family units called ‘coteries’. They often ‘kiss’ in a familial identification. The animals commonly seen poised on their hindquarters are sentries, ever vigilant on the lookout for danger to themselves and families. Prairie dogs are annual breeders. Fifty percent of females over two years of age will give birth to about 4 pups in the spring. There is tremendous juvenile mortality. Prairie dogs live to be about five years old in the wild. Burrows are complex, with separate ‘rooms’ for each function of life. Toilet chambers, sleeping quarters and storage typify a home burrow. Often, listening posts are created near the entrance for added protection. Some burrows have several entrances. Gunnison’s and White-tailed Prairie Dogs hibernate, or go into torpor, as it is called, from about November through February. Black-tailed Prairie Dogs do not hibernate.